Buy 4 or More units and save! 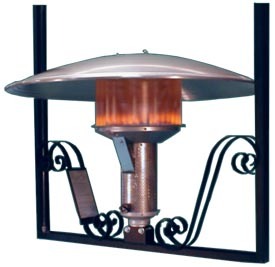 A244V Heater Complete with "Black" mounting frame. Turn on and off by remote switch (supplied by installer) standing pilot. Frame is 41-¼" x 38" x 2" . Requires installer supplied mount bracket to attach frame to structure.